Leading Manufacturer of resistive touch panels, capacitive touch panels, resistive touch screen, saw touch panels, touch screen monitor and touch screen from Pune. 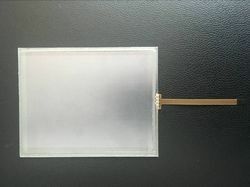 It is Resistive Touchscreen Panel. Available in sizes from 3.5" to 22", 4 wire & 5 wire. Also available USB & RS232 Controllers for the same. Works on almost all latest Operating Systems. 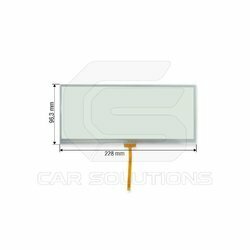 Capacitive Touch Panels are available from 4.3" onwards. Response time is very less & are smooth to operate. Works plug & play. I2C interface for small sizes & USB for bigger sizes. 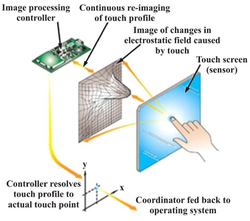 Resistive Touch Screens are available in various sizes from 3.5" to 22". Available in 4/5 Wire with USB / RS232 Controller which works on almost all latest Operating Systems. 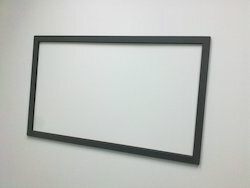 SAW Touchscreens available in various size from 10.4" to 22" with & without Dustproof Frames. Available in 3mm,4mm & 6mm Thickness. Available in sizes from 3.5" to 75". 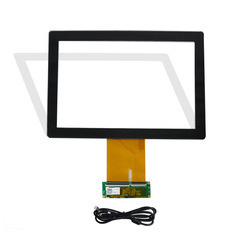 Resistive, Capacitive, SAW , IR Touchscreen Monitors available. Also HDMI port available for selected models.